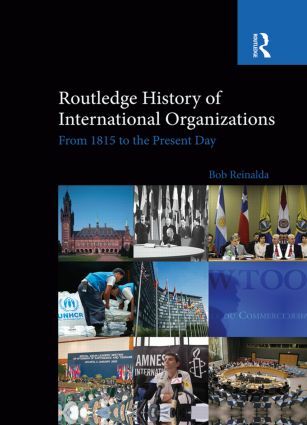 This is a definitive and comprehensive history of international organizations from their very beginning at the Congress of Vienna in 1815 up to the present day, and provides the reader with nearly two centuries of world history seen from the perspective of international organizations. It covers the three main fields of international relations: security, economics and the humanitarian domain which often overlap in international organizations. As well as global and intercontinental organizations, the book also covers regional international organizations and international non-governmental organizations in all continents. The book progresses chronologically but also provides a thematic and geographical coherence so that related developments can be discussed together. A series of detailed tables, figures, charts and information boxes explain the chronologies, structures and relationships of international organizations. There are biographies, histories and analysis of hundreds of international organizations. This is an essential reference work with direct relevance to scholars in international relations, international political economy, international economics and business and security studies.